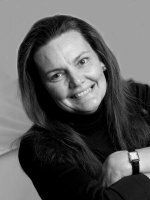 Terrie Anderson has enjoyed a very successful corporate career, most recently in the technology sector leading sales and operational teams to achieve excellence. Reaching senior level management in an international corporation by age of 28, she attained Board level positions just a few years later. She is an active mentor and adviser to several senior executives. Terrie is a sales strategist, a coach and a strong solutions sales person who believes the only things that should matter to the client, even in a technology sale, is the successful outcome of business objectives, and successful delivery of transformative market solutions. Terrie has repeatedly built high performance teams, that recorded outstanding results, by motivating the people to achieve their best willingly and happily. She is also recognized for growing service industries, new routes to market, and strategic partnership development, with global exposure. A respected business leader, who has specialized in solving problems in organizations around the globe, particularly in the areas of enterprise sales and leadership challenges, change management and turnarounds. She has actively assisted with acquisition advice and support, market growth and development, and winning sales strategy. She has an outstanding track record and testimonials. She regularly studies the performance of selected large companies under change of leadership, to ensure she continues to stay current with deeper understanding of impact of the various leadership and communication styles on company performance. Terrie Anderson is a co-founder of Easy Online Portals Pty Limited, the company that also manages her intellectual property. She is the author of One Minute More - The Human Connection, a return to traditional human to human communication skills. Highly valuable in sales or customer service environments, as well as the foundation for a high performance team at any level. People buy from people, and in today's world of electronic communication, too many organizations place even their CRM ahead of understanding real human to human communication. This is a powerful customer winning strategy that is overlooked by many. Author of '999 Legendary Selling in the 21st Century' (2010), already accepted as a reference text for advanced Sales and Negotiation courses. She is also the author of 'The Little Red Success Book' (1994), and '30 Days of Inspiration' (2009). She has many published articles on leadership, motivation and is considered by many to be a Thought Leader in Corporate Solutions for the 21st Century. Her Transformative Leadership Defined article has been downloaded by over 8,000 MBA students and graduates. She approaches the world with warmth, happiness and an open honesty that has won her considerable esteem. Raised in the Australian outback, she has travelled the world visiting many remote places and meeting people from many cultures. She has lived and worked internationally for many years, whilst holding strong ties to her native Australia. Terrie is presently living in Australia with her personal and business partner, and she continues to promote the concept of success, health and happiness through a balanced lifestyle, memorable human connections and sheer joy of life. Terrie's personal interests include great food and wine especially in the company of interesting people, cooking with unusual condiments and combinations, environmental issues, animals, history, adventure travel, wine, rugby, sailing and classic motorbikes.